It may be hard to tell in the crowded space of menstrual cups, but the Moon Cup UK (MCUK in the US) was the first menstrual cup made of medical-grade silicone in 2002. It is still one of the highest quality menstrual cups. 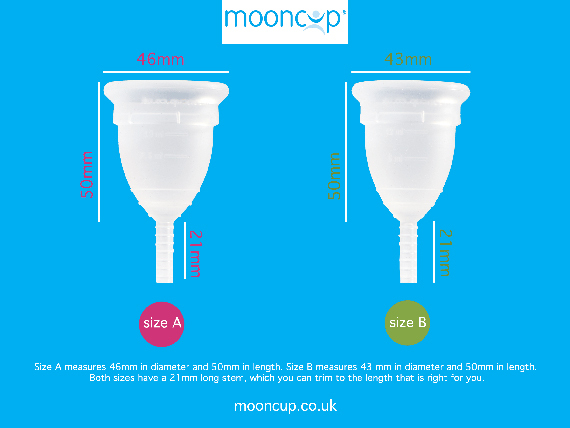 If you’re looking for a quality menstrual cup that has proven itself over time, look no further than the MoonCup UK. The cup itself is made of thick silicone and has a single ridge around the upper half of the cup that contains the airholes. It has a round, hollow stem with ridges that makes it easier to remove.